Part D plans are State specific and in most States there are upwards of 30+ plans to choose from. Medicare Advantage plans are available County-by-County and depending on where you live you may have a couple dozen plans to choose from. If you are like most people you would like a simple way to compare Medicare plans. Medicare Star ratings were designed to give you a simple way to compare plans so you will be able enroll in a quality plan. But often quality is in the eye of the beholder and even when ratings are culled from a large number of member experiences, your experience may vary. 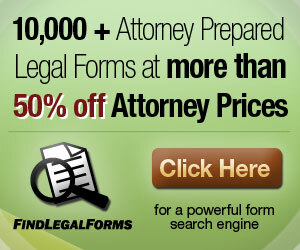 Additionally, there are many factors that are not considered related to available Part D and Medicare Advantage plans. 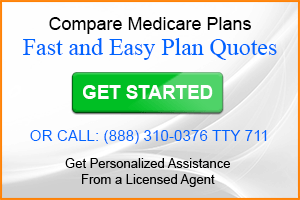 The goal of Medicare Star ratings is to give you an idea of the overall quality of a plan. There are over 50 different items considered when measuring plan performance and quality. Star ratings are updated each year in the fall. When comparing Part D or Medicare Advantage plans at medicare.gov you can see Star ratings for most plans. As you review the criteria that determines plan ratings it becomes evident that you are not going to make an informed decision from the Star ratings alone. The ratings are based on experiences from individuals, all with unique circumstances. Although having information about a plan’s overall customer service can give you an insight as to what you may expect as a member, other criteria used to determine ratings may not be relevant to your situation. For instance; how a Medicare Advantage plan manages chronic health conditions may not be relevant to your situation. Nor may other peoples experience with a Part D plan be a good indicator as to what your experience will be. Certainly to make an informed decision and find the most suitable plan you will need to take into consideration and the plan’s coverage and cost. Medicare Star ratings do have a place when evaluating a Part D or Medicare Advantage plan, but it should not be your starting point. Because your needs and budget are unique, there is a limit to the value star rating will have when comparing plans. For instance, if the highest rated plan is not affordable or doesn’t include your providers, it may not be the right plan for you. Begin comparing plans based on plan coverage (including provider network) and on plan cost. Bear in mind that plan cost goes beyond monthly premium and includes the cost of using a plan; usually deductibles, co-payments and coinsurance. Once you have found plans that seem like good options, then take a look at the star ratings. Use the star ratings more as a checks and balances to verify that the plan has not been rated poorly on a consistent basis. There are plenty of Part D and Medicare Advantage plans with 3 and 3.5 star ratings that people stick with year after year.